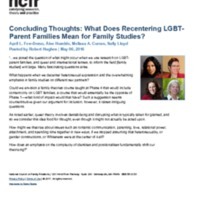 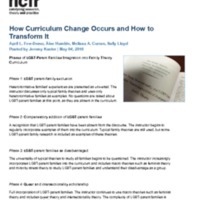 Concluding Thoughts: What Does Recentering LGBT-Parent Families Mean for Family Studies?
" 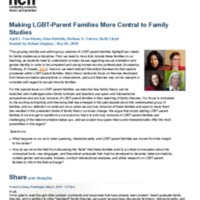 we posed the question of what might occur when we use research on LGBT-parent families, and queer and intersectional lenses, to inform the field [family studies] writ large. 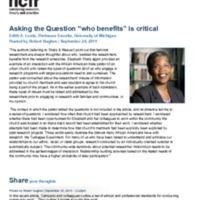 Many fascinating questions arise." 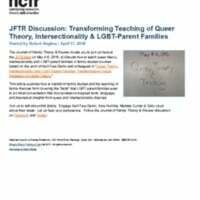 What happens to our work when queering, intersectionality, and LGBT-parent families are moved from the margin to the center? 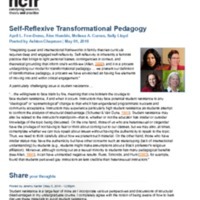 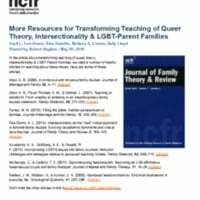 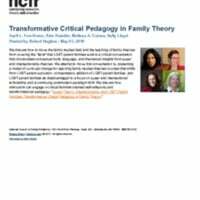 In the article about transforming teaching of queer theory, intersectionality & LGBT-Parent Families, we cited a number of helpful articles on teaching about these issues. 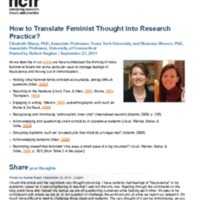 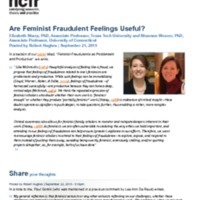 Are Feminist Fraudulent Feelings Useful?